The Justice and Peace Group provides opportunities for the parishioners of St Theresa’s to educate themselves and take action on social issues. 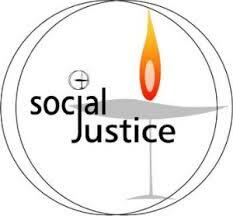 This involves arranging guest speakers, forums, charitable giving, petitions to Parliament, and any other action designed to enable people to understand what Justice is as part of the mission of the Catholic Church. Visits to Rimutaka prison are also undertaken to support the ICPE mission to bring Jesus to the prisoners. Visits are made on Wednesdays and Sundays.